Florida Tanning Salon Insurance. As a responsible tanning salon owner, you know that protecting your business and its assets along with your personal assets is important. Tanning salon insurance protects your business from a variety of perils that might cause financial distress or leave you holding the proverbial bag when it comes to litigation filed against your business by an unhappy or injured customer. Coverage for your tanning salon business protects you against liability charges lodged against you. Sometimes there are major lawsuits filed against tanning salons. In Mount Pleasant, Florida, Sunkissed Tanning Spa found themselves the subject of two lawsuits. Two separate clients filed for $50,000 in purported damages against the spa due to negligence and privacy invasion by the owners. These suits are not uncommon and that is why Florida tanning salon insurance is so important. 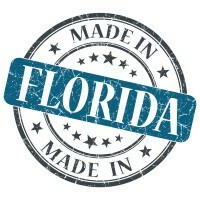 Florida tanning salon insurance protects your business from lawsuits with rates as low as $85/mo. Get a fast quote and your certificate of insurance now. The tanning industry received more heat in recent years due to the Melanoma Research Foundation stating that tanning bed UV exposure increases melanoma risk in people age 30 and under by as much as 75 percent. An uptick in lawsuits followed the study's results occurred. Many consumers are now claiming injury from laying in the tanning bed, and they are holding salon owners accountable. Even among salon owners who follow the recommended practices from the manufacturer and follow strict privacy rules to build strong reputations for service and safety, tanning salons are still targeted in our litigious society. Commercial insurance covers many risks, but it can be a good idea to take out a specialized Florida tanning salon insurance policy that is tailored to the unique risks of your tanning business. What Type of Tanning Salon Insurance Do You Need? Property insurance - Protect your property, even if you do not own the building in which you do business, with property insurance. This coverage included the expensive equipment in your salon as well as damage that might occur because of theft, fire, smoke, and vandalism, among other perils. General liability insurance - Protect your assets from seizure, both on a personal and business level, with general liability insurance. If you have a customer who lodges a claim of bodily harm or property damage due to your business actions or inactions, then this policy is vital to fighting the claim, paying legal costs for your defense, and paying out awards, up to a limit. Business owner's insurance policy, or BOP. - A type of blanket insurance that puts a number of policies into one larger policy including property and liability coverage. BOP is a good choice for many salons. Commercial auto insurance - Cover the vehicles your business uses with commercial auto insurance. This is like a standard auto policy, but it's for business purposes only. Professional liability insurance or errors and omissions insurance - If a client files a claim for losses due to your business' negligence, this is the type of policy that kicks in and pays for any awards given in court and for your legal team to represent you. Worker's compensation insurance - Keep this type of insurance in force to cover employee ideuries or illnesses. It pays wages and medical costs if employees are hurt or become sick due to job-related duties. There is no specific set cost for Florida tanning salon insurance, since each salon is independent and faces varieties of risks. Some things that insurers look out when determining the premium charged for each salon include the salon's location, the building the salon is housed inside, the safety measures present in the salon, any history of claims against the salon, and any supplemental services offered. The level of coverage desired also matters. Work with a licensed agent to determine how much Florida tanning salon insurance coverage you need and retrieve quotes from several insurers to find one that meets your budgetary restraints. Request a free Florida Tanning Salon insurance quote in Altamonte Springs, Apopka, Aventura, Boca Raton, Bonita Springs, Boynton Beach, Bradenton, Cape Coral, Casselberry, Clearwater, Clermont, Coconut Creek, Cooper City, Coral Gables, Coral Springs, Crestview, Cutler Bay, Dania Beach, Davie, Daytona Beach, DeLand, Deerfield Beach, Delray Beach, Deltona, Doral, Dunedin, Edgewater, Fort Lauderdale, Fort Myers, Fort Pierce, Gainesville, Greenacres, Haines City, Hallandale Beach, Hialeah Gardens, Hialeah, Hollywood, Homestead, Jacksonville Beach, Jacksonville, Jupiter, Key West, Kissimmee, Lake Worth, Lakeland, Largo, Lauderdale Lakes, Lauderhill, Leesburg, Margate, Melbourne, Miami Beach, Miami Gardens, Miami Lakes, Miami, Miramar, New Smyrna Beach, North Lauderdale, North Miami Beach, North Miami, North Port, Oakland Park, Ocala, Ocoee, Orlando, Ormond Beach, Oviedo, Palm Bay, Palm Beach Gardens, Palm Coast, Palmetto Bay, Panama City, Parkland, Pembroke Pines, Pensacola, Pinellas Park, Plant City, Plantation, Pompano Beach, Port Orange, Port St. Lucie, Riviera Beach, Rockledge, Royal Palm Beach, Sanford, Sarasota, Sebastian, St. Cloud, St. Petersburg, Sunny Isles Beach, Sunrise, Tallahassee, Tamarac, Tampa, Tarpon Springs, Temple Terrace, Titusville, Venice, Wellington, West Palm Beach, Weston, Winter Garden, Winter Haven, Winter Park, Winter Springs and all other cities in FL - The Sunshine State.